It’s far too long until the official puck drop on this year’s NCAA hockey season, but some summer hockey is a welcome appetizer. 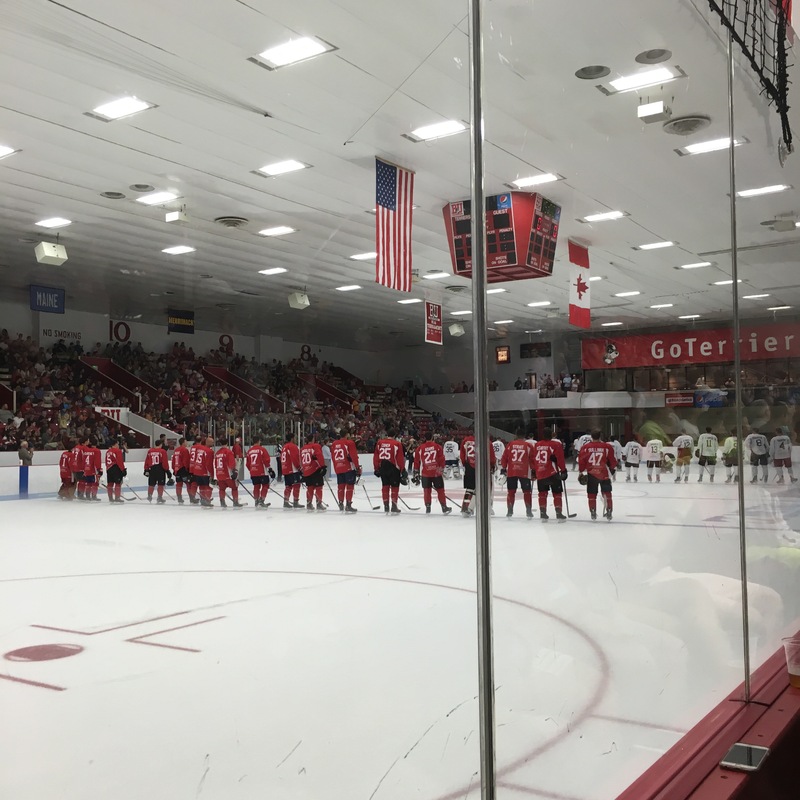 Tonight at Boston University’s Walter Brown Arena is the second Comm Ave Charity Classic – a charity exhibition game between alumni of BU and Boston College. The main attraction tonight for me is seeing friends like Matt O’Connor, Danny O’Regan, and Matt Grzelcyk return to the ice donning BU gear again. But having some fun to benefit ALS research and the Travis Roy foundation is simply terrific.